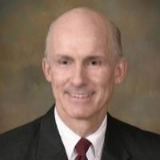 A Past President of the Plastic Surgery Educational Foundation of the US and a current Board Member of the American Society of Plastic Surgeons, Dr. Brian Kinney is Board Certified by the American Board of Plastic Surgery and is a member of numerous organizations in medicine, science and engineering, including the American Society of Plastic Surgeons (ASPS), the Plastic Surgery Educational Foundation (PSEF), the American Society for Aesthetic Plastic Surgery (ASAPS), the California Society of Plastic Surgeons (CSPS), the International Confederation for Plastic, Reconstructive and Aesthetic Plastic Surgeons (IPRAS), the International Society of Aesthetic Plastic Surgery (ISAPS), the AMA and the American Association for the Advancement of Science (AAAAS). Dr. Brian Kinney is a Clinical Assistant Professor of Plastic Surgery at USC School of Medicine, Dr. Brian Kinney has served on the Editorial Board of the Aesthetic Surgery Journal since 1997. Dr. Brian Kinney has won several awards for his professional work, presents and teaches at national and international meetings, Doctor Brian Kinney also serves as a consultant to biotech and engineering companies, and continues to author articles in many journals and textbooks. Dr. Brian Kinney has appeared on ABC network's Nightline, Fox Network's Extra, CNN, Hard Copy, The Discovery Channel, most of the local Los Angeles news television stations and all of the four major national news networks. Brian Kinney MD has been featured on radio and in numerous newspapers, including the Los Angeles Times, New York Times, London Times, USA Today and Wall Street Journal. Journalists from Vogue, Glamour, Allure, Newsweek, Spa Magazine and many others have interviewed Doctor Brian Kinney about plastic surgery, cosmetic and beauty treatments. Doctor Brian Kinney has also presented/interviewed on radio, television and in newspapers in Europe, Russia, Asia, South and Central America, and has been featured in documentary films. Doctor Brian Kinney has performed live surgery and injections for teaching conferences in worldwide locations, such as Moscow, Copenhagen, Vienna, Rio de Janeiro, Sao Paolo, Belgrade, Buenos Aires and Mumbai (India). During the Bosnian war, Doctor Brian Kinney led surgical relief missions and was received in the Presidential Palace in Zagreb, Croatia. Brian Kinney MD has also volunteered and organized surgical relief missions in Mexico. With years of experience, Doctor Brian Kinney remains sought for teaching at national and international conferences, as well as consulting for various biotech and engineering companies. Dr. Brian Kinney has authored numerous articles for journals, magazines and co-edited a new 2,000 page, standard textbook of Plastic Surgery. His work in the fields of plastic surgery and technology has garnered Dr. Brian Kinney many awards and placed him in the group of the world's most well-known top plastic surgeons.